With this Firewall Zero Hour VR bundle for the PS4, now at RC Willey, you will enjoy hours of virtual fun. This bundle comes action packed with the ability to make your virtual seem more reality using the PS4 VR Aim Controller that comes ready to use. Teamwork is everything in this intense squad-based shooter – put on your PlayStation VR headset, gather an arsenal of equipment, and prepare for blistering combat. 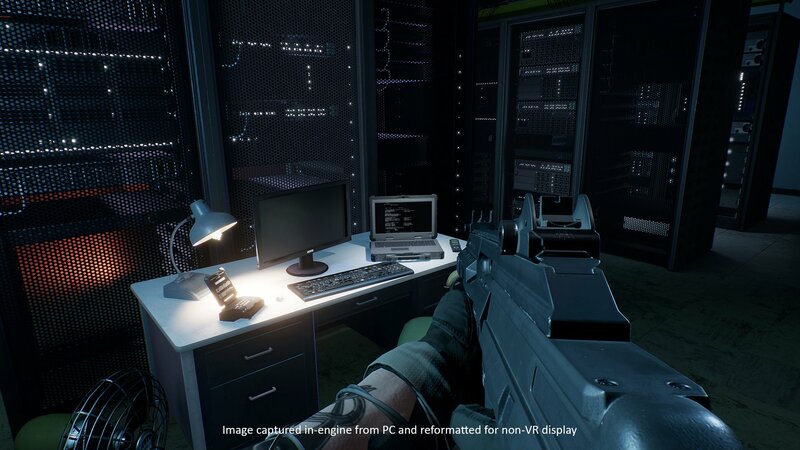 Firewall Zero Hour takes full advantage of PS4 VR, dropping you head first into each operation with full 360 degree vision of the combat zone. 3D audio lets you hear your enemy’s every move, while freedom of movement gives you the ability to quickly act out tactical decisions. Want an even sharper edge on the battlefield? Take advantage of the precision tracking of the PlayStation VR aim controller, and own every shot. ATTACK: Your job is to bypass the Firewall access points, locate the laptop, and initiate the hack to obtain the data. Plan your approach wisely and eliminate any hostiles that stand in your way. DEFEND: Protect the laptop data at all costs. Fortify your location, secure the Firewall access points, and force your enemy into choke points that will prevent the hack and protect the data.